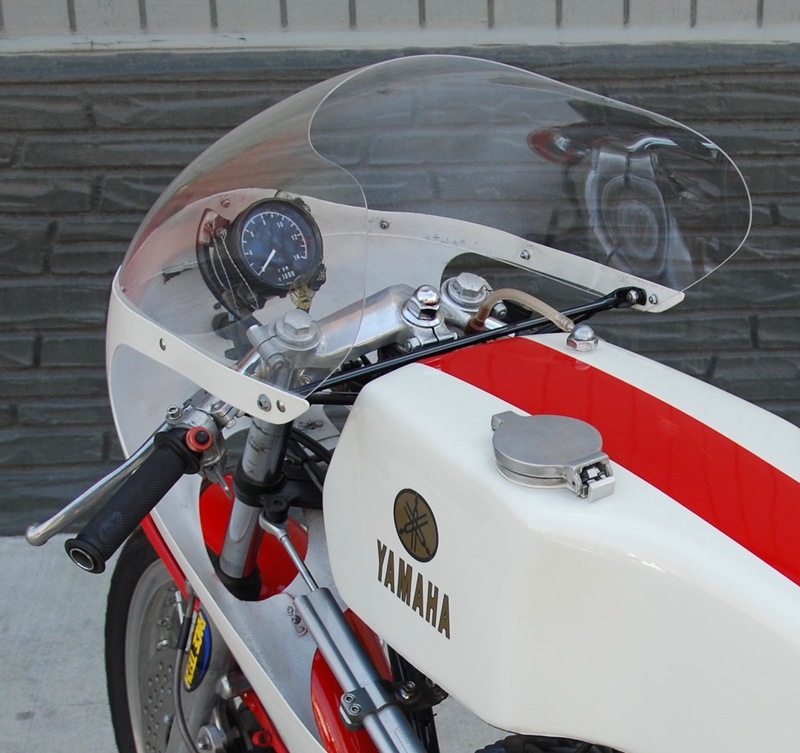 The mainstay of 250cc and 350cc class racing at national and international level for many years, the twin-cylinder two-stroke Yamaha well deserved the title of ‘privateer’s friend’. 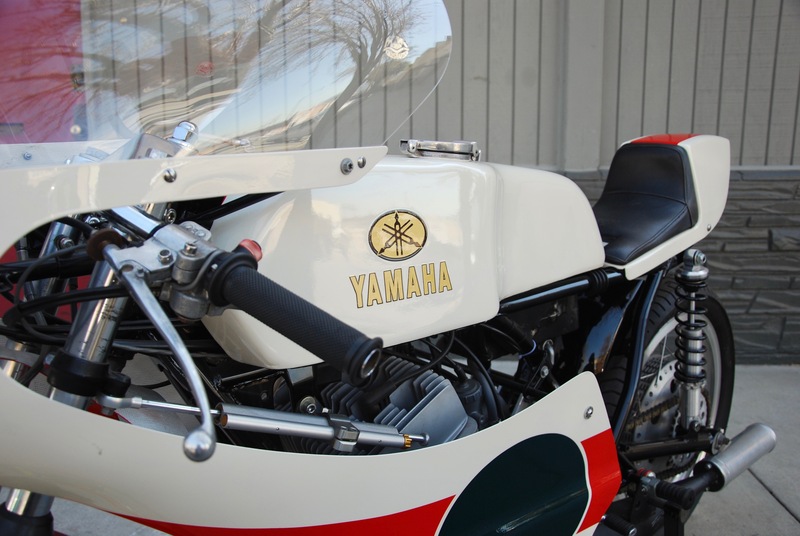 The 250cc TD2 arrived in 1969, replacing the TD1C, and immediately proved capable of winning Grands Prix, privateer Kent Andersson triumphing in the German round at Hockenheim that year, one of Yamaha’s most significant classic victories. 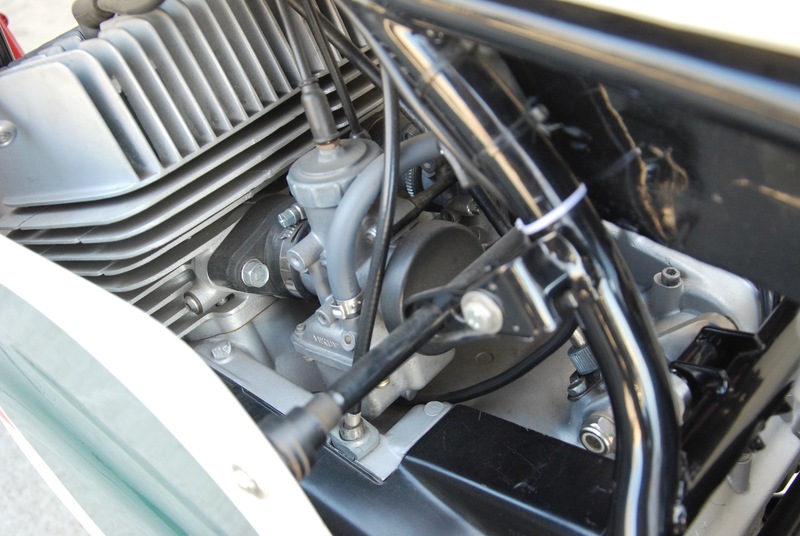 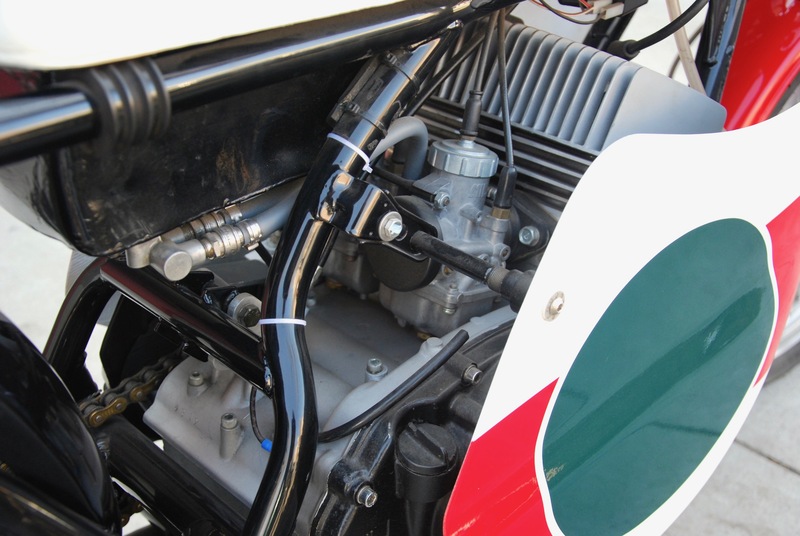 The giant leap forward from the TD1C had been achieved thanks to a comprehensive redesign that saw the porting and exhaust system updated, superior Mikuni carburettors adopted and the chassis, suspension and brakes greatly improved. 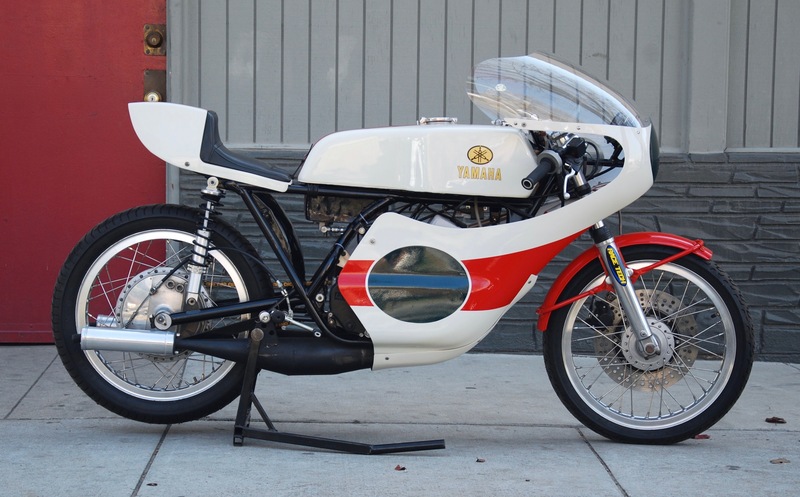 Looking like a scaled down Norton Featherbed, the TD2’s chassis was a development of that used for the RD56 works racer. 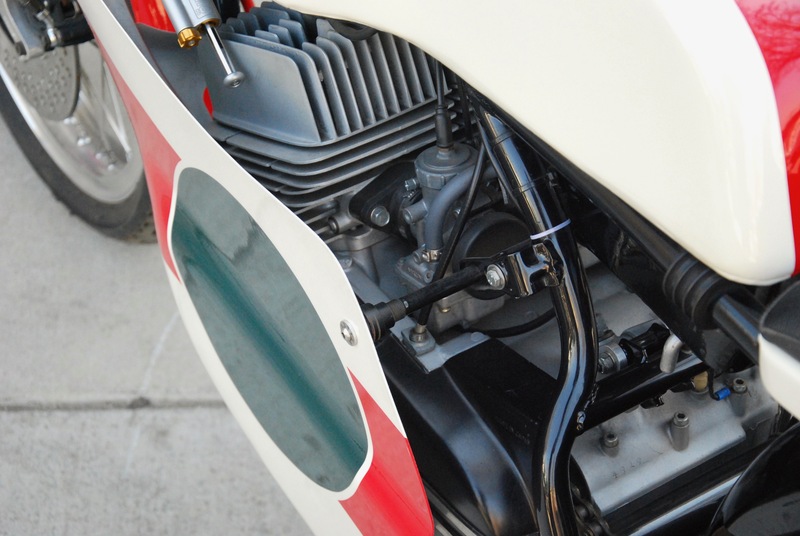 Kel Carruthers on the works Benelli ‘four’ denied Kent Anderson the 250cc World Championship in 1969 but the following year the TD2 came good when Rod Gould, riding a works machine entered by Yamaha Motor NV of Holland, took the title. 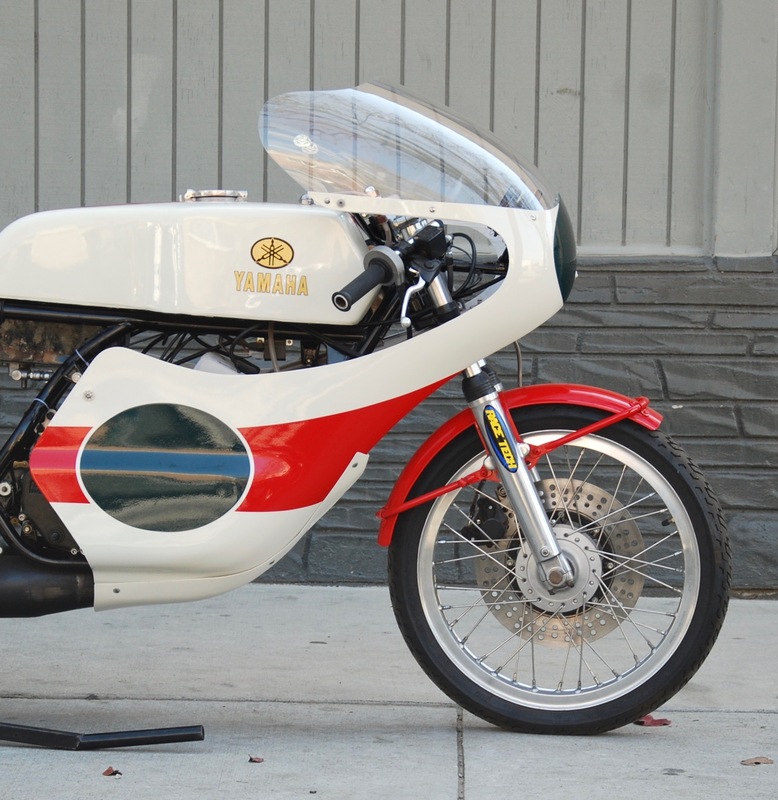 The TD3 was an evolutionary step forward in the long line of successful Yamaha air-cooled two-strokes, and as it happens it would also be the last in its line. 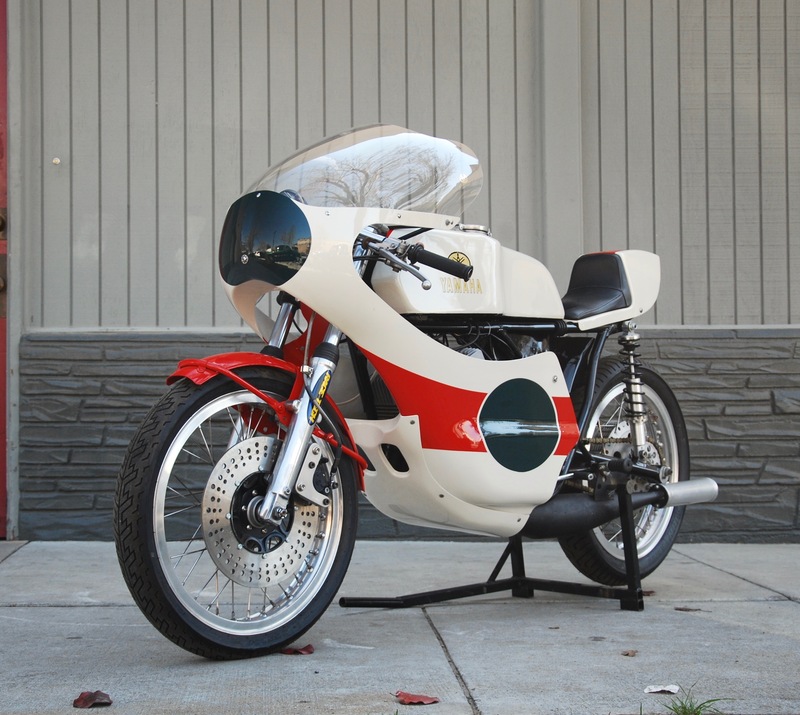 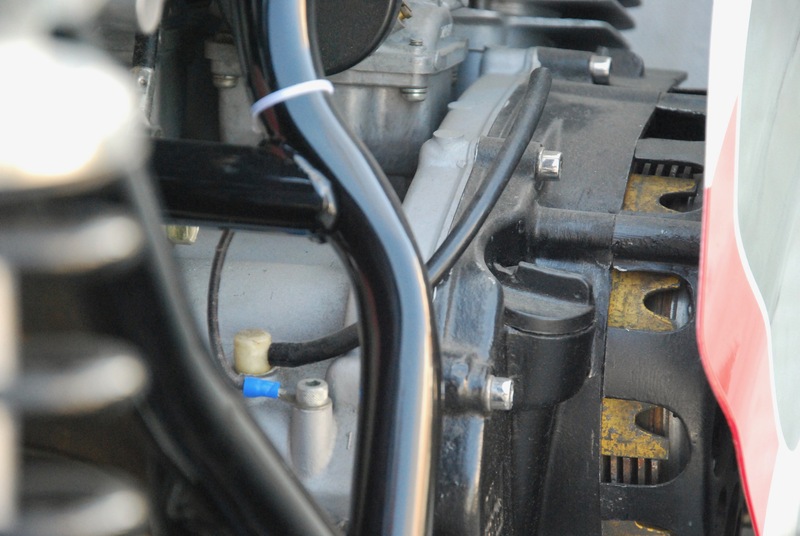 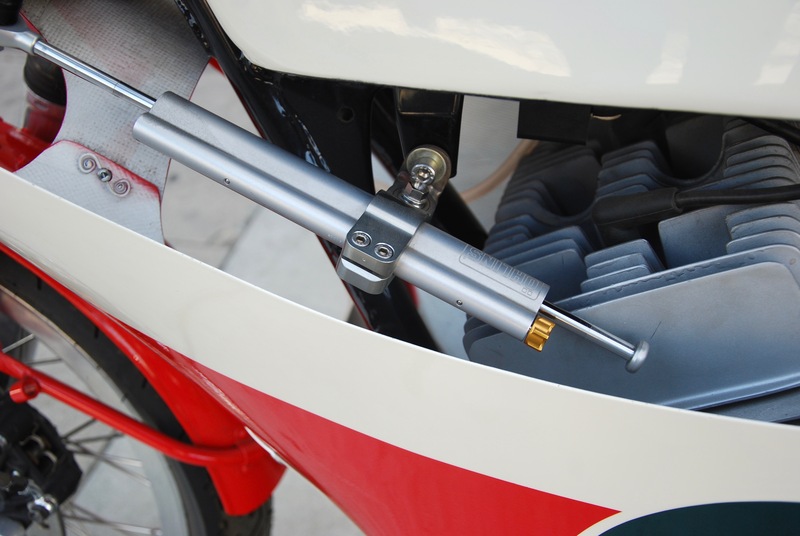 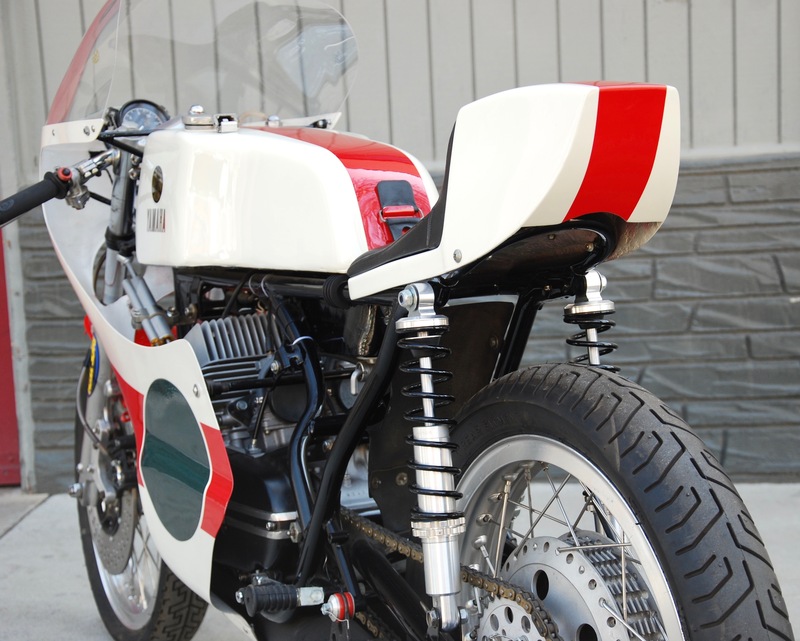 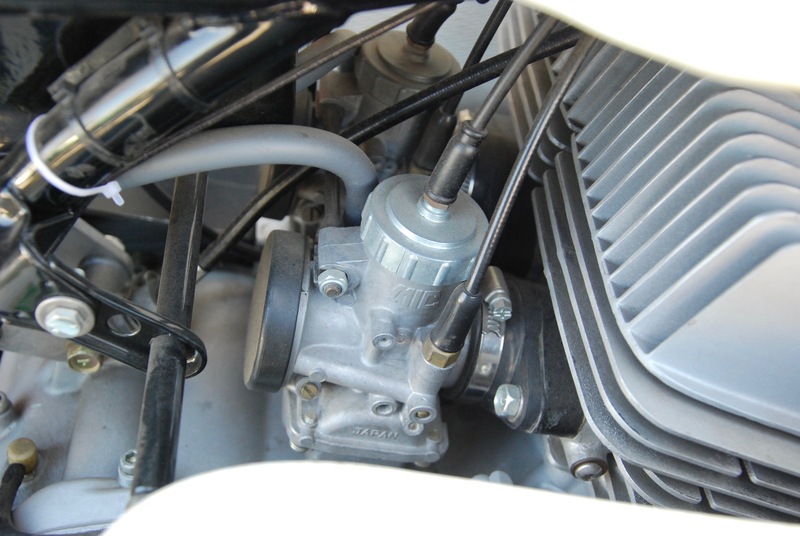 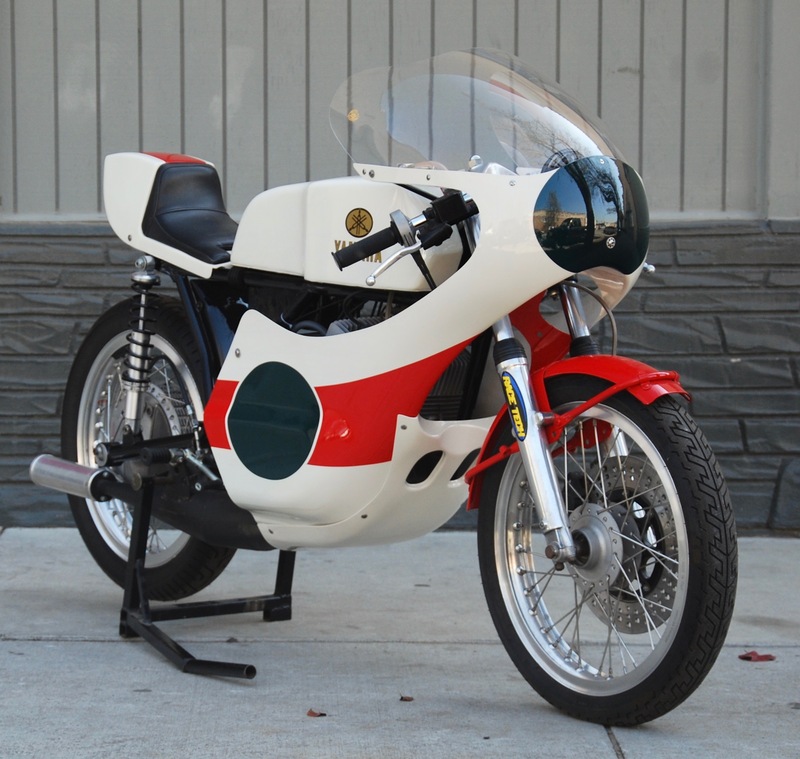 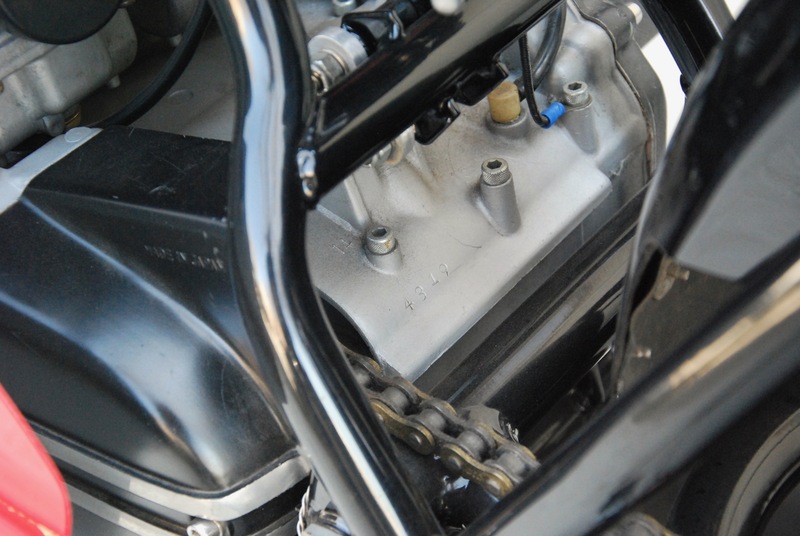 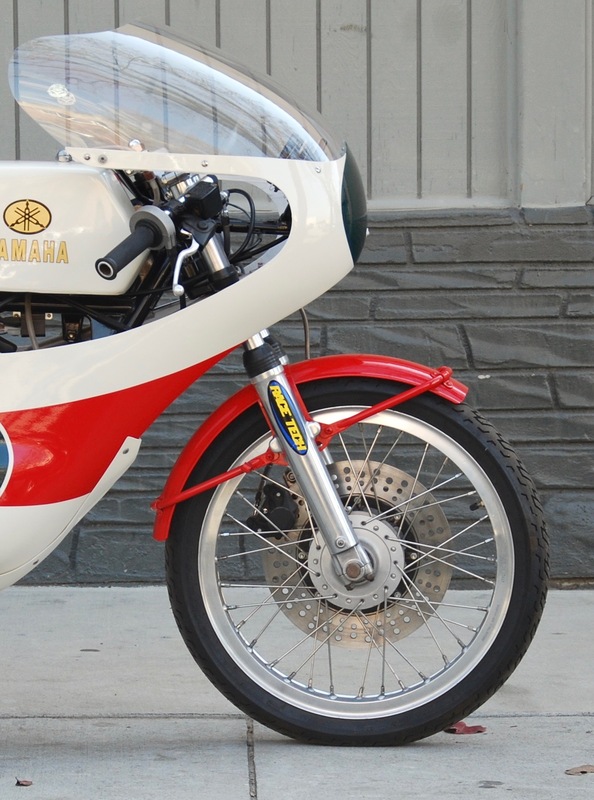 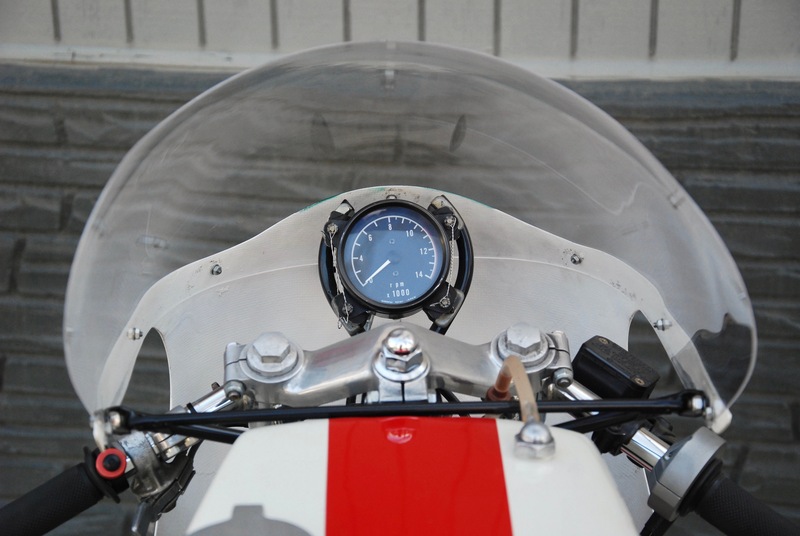 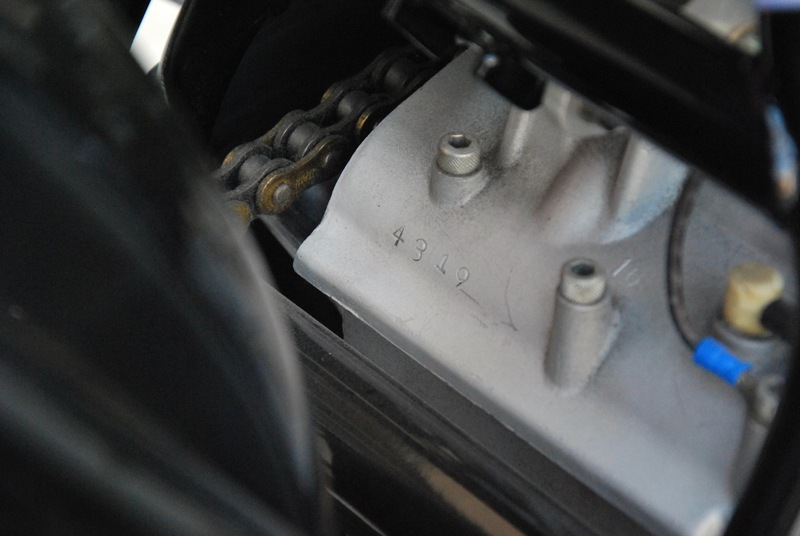 Released by the Japanese marque in 1972, the TD3 benefitted from a horizontally split crankcase, which holds the 247cc internals, producing about 50bhp and a redline in excess of 10,000 revs, which can propel the diminutive little racer’s 230 pounds to blistering racing performance figures with incredible reliability. 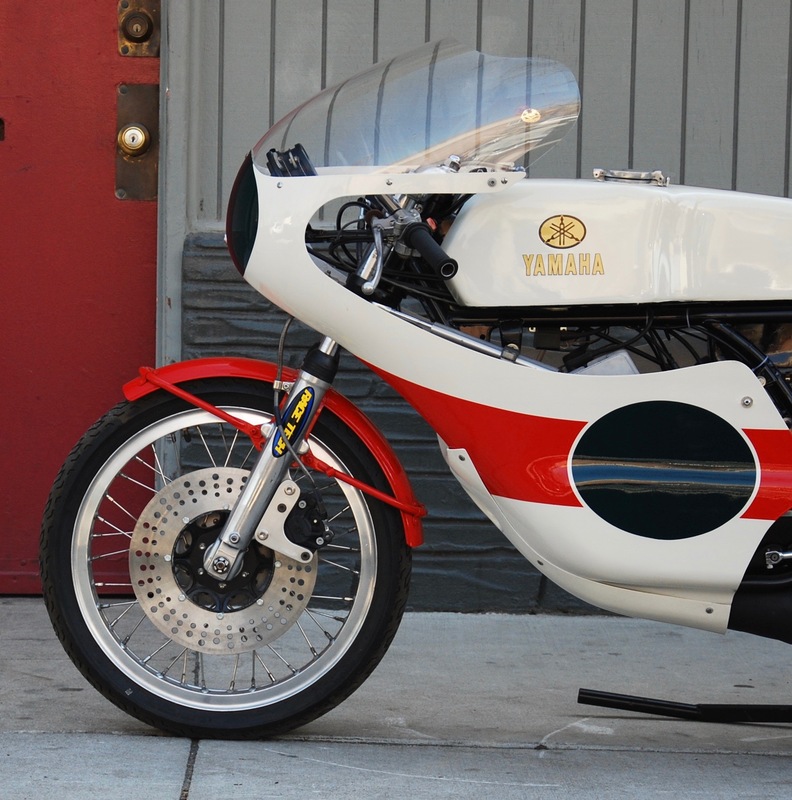 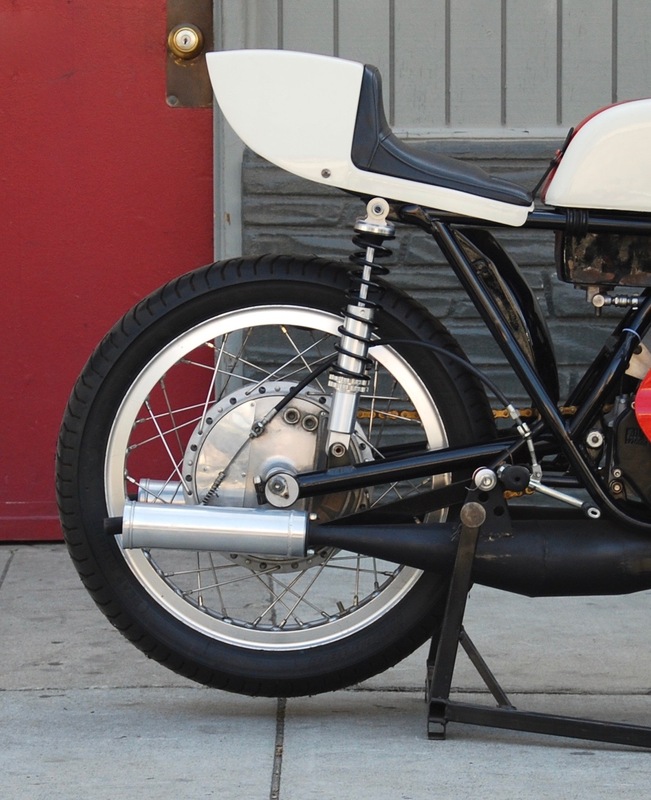 Fresh from Deus Ex Machina’s “Woolie’s Workshop”, this 250cc Yamaha 2-Stroke screamer was built to be competitive. 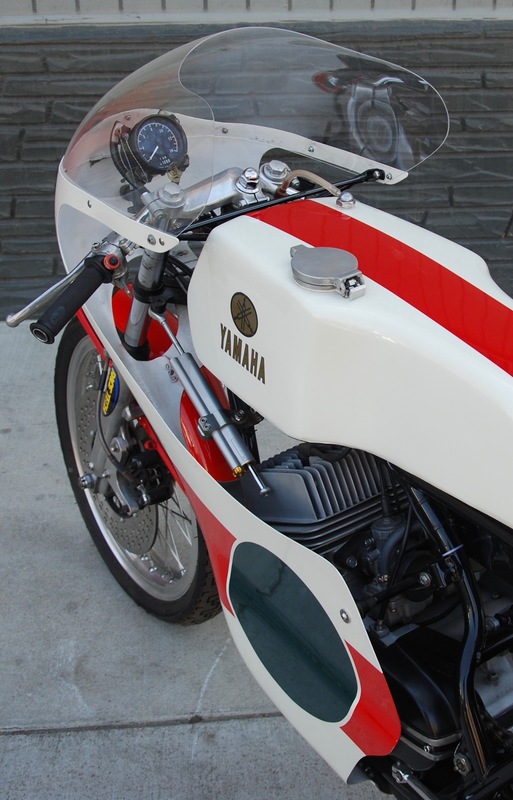 Like all the builds out of Woolie’s Workshop, it has that ‘final 5%”, which is always the most assiduously earned and separates the great bikes from the mere good ones. 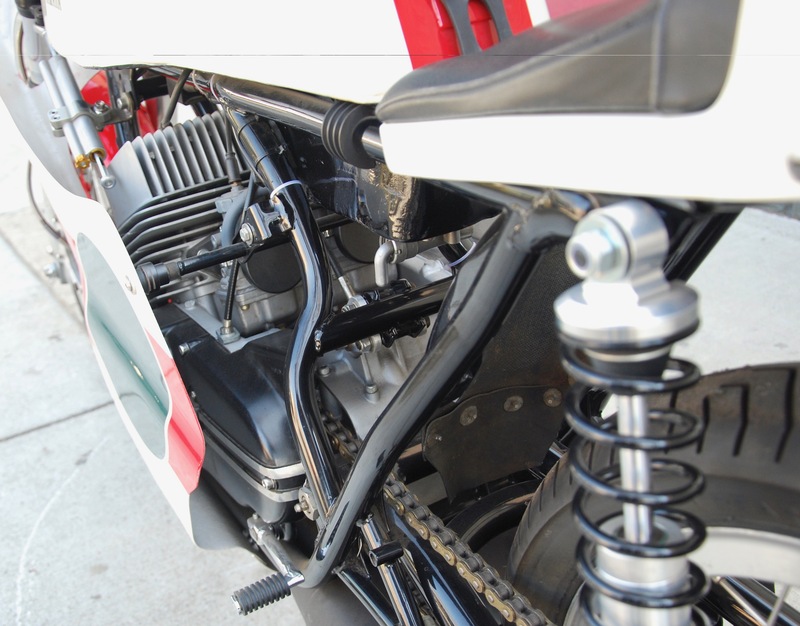 Every component was addressed, rebuilt, refinished and restored with Woolie’s exquisite attention to detail, including engine, gearbox, and all cycle parts. 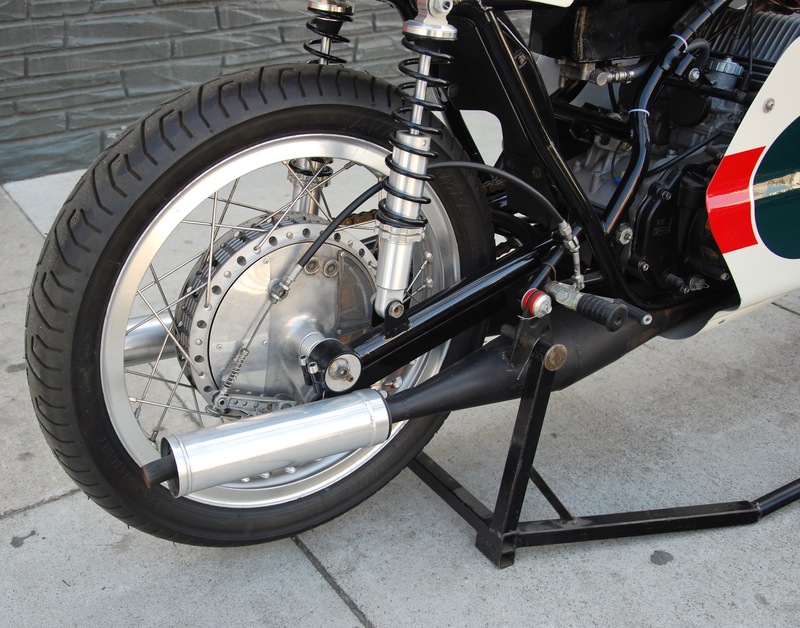 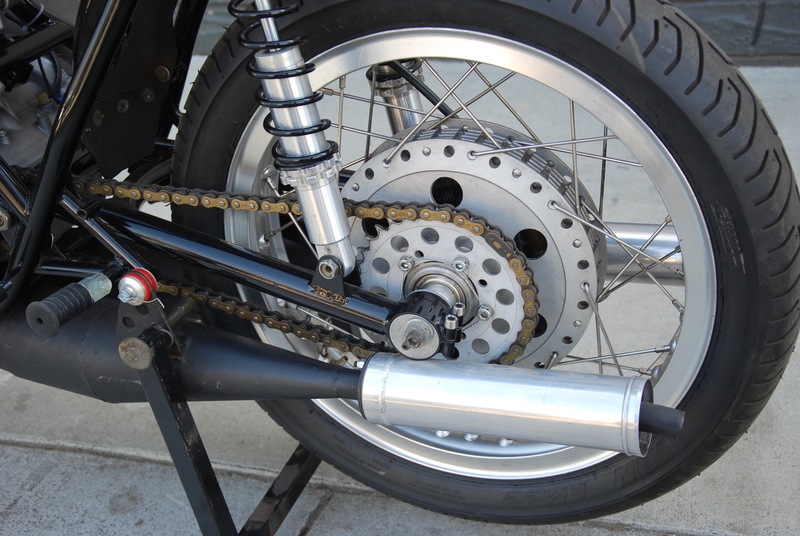 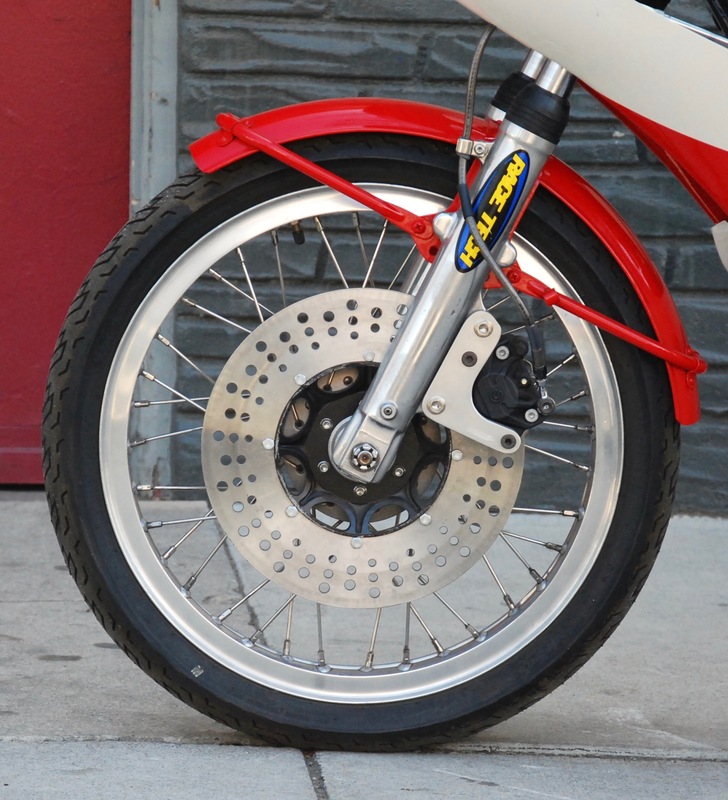 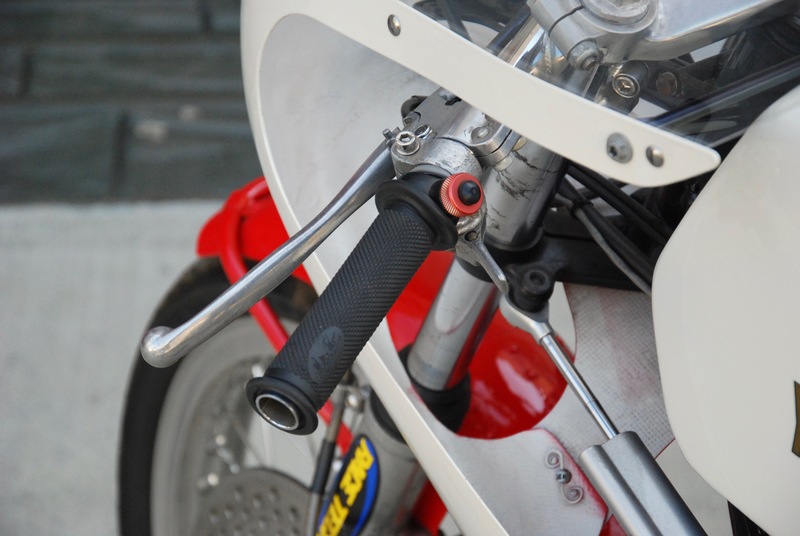 Upgrades include the Ohlins steering damper and disc front brake. 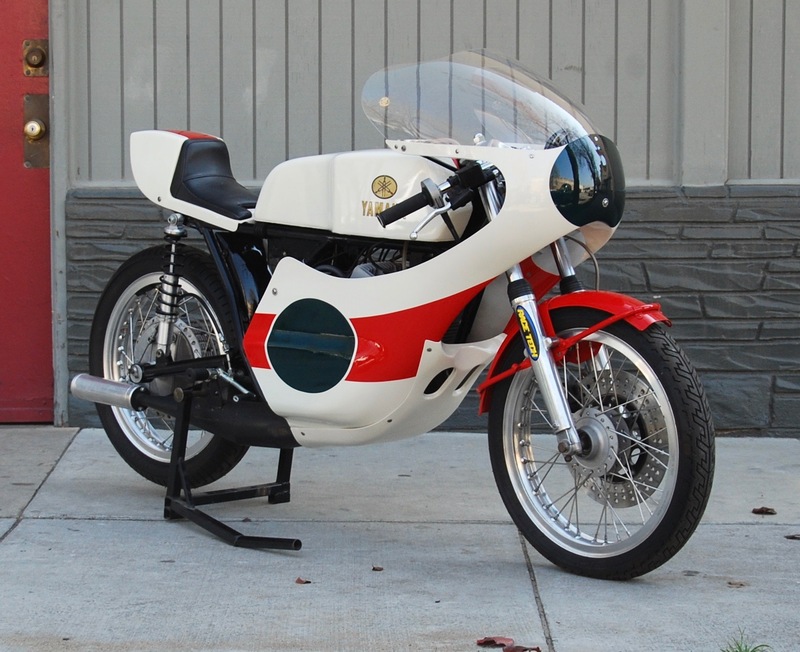 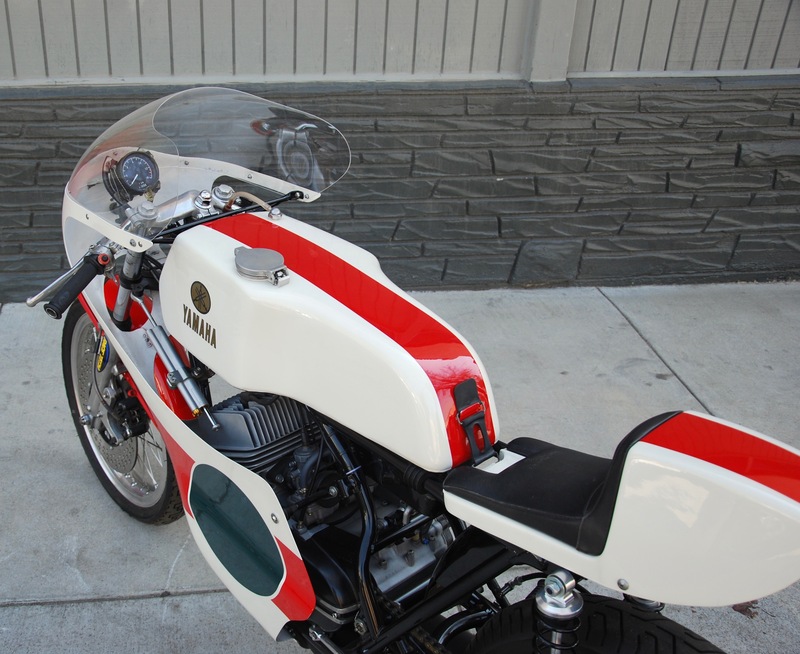 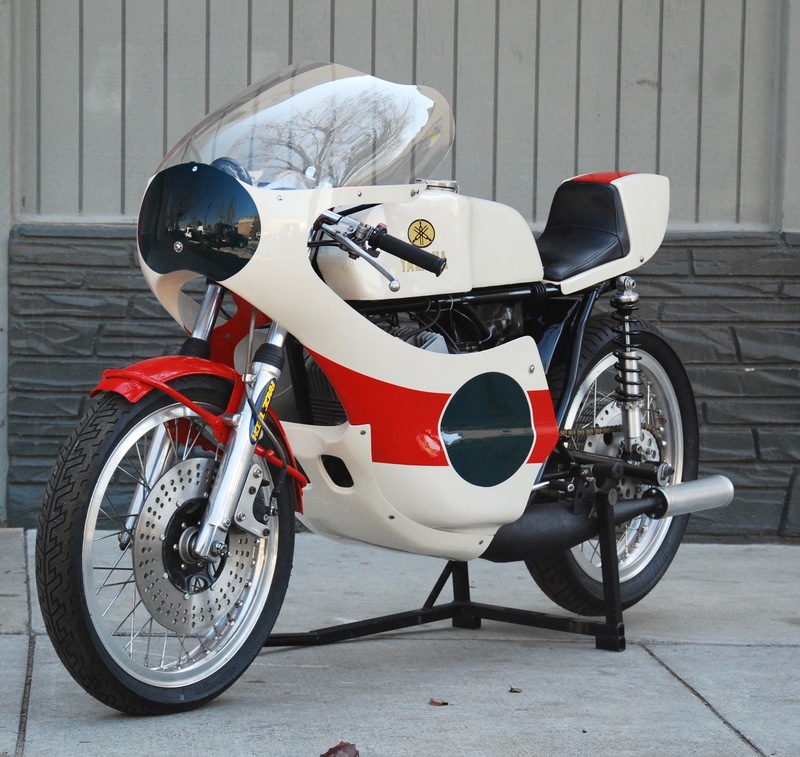 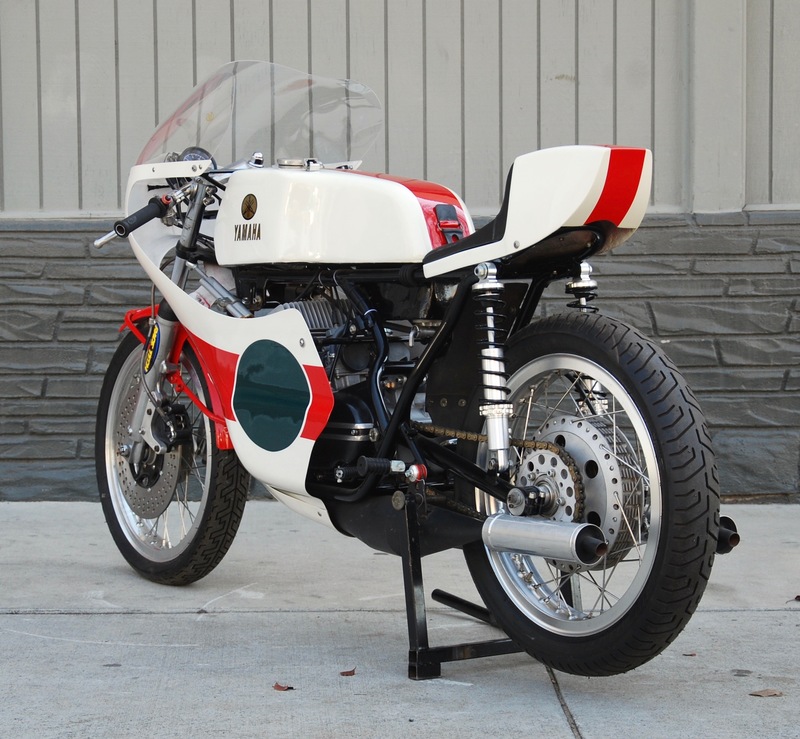 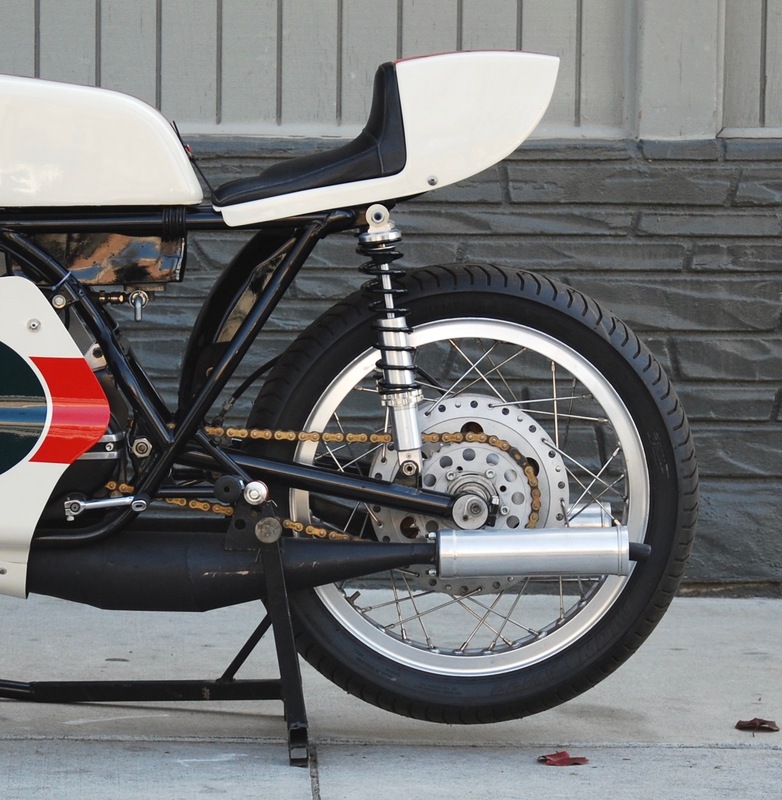 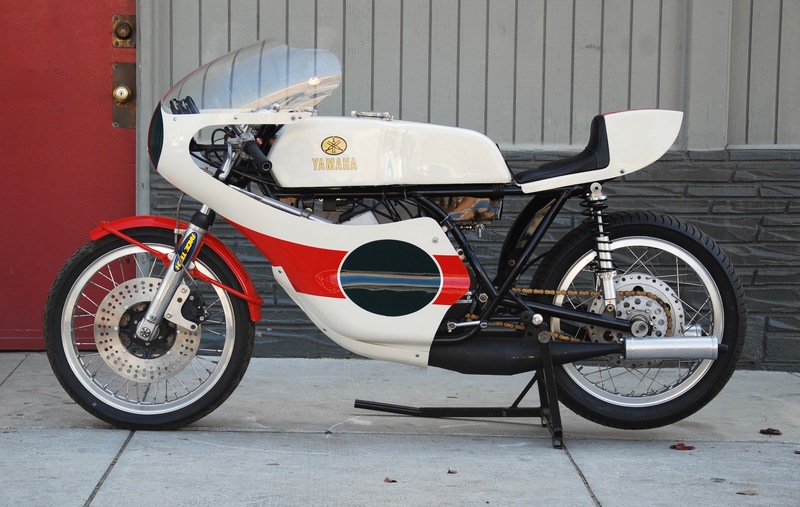 Built to race, but with no track time since the build, this is a fantastic opportunity to own a custom purpose-built race bike to be a class winning AHRMA machine. 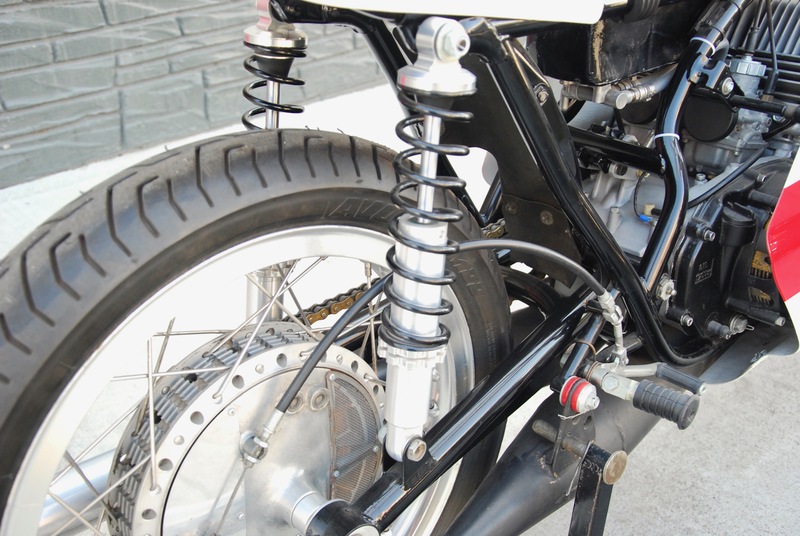 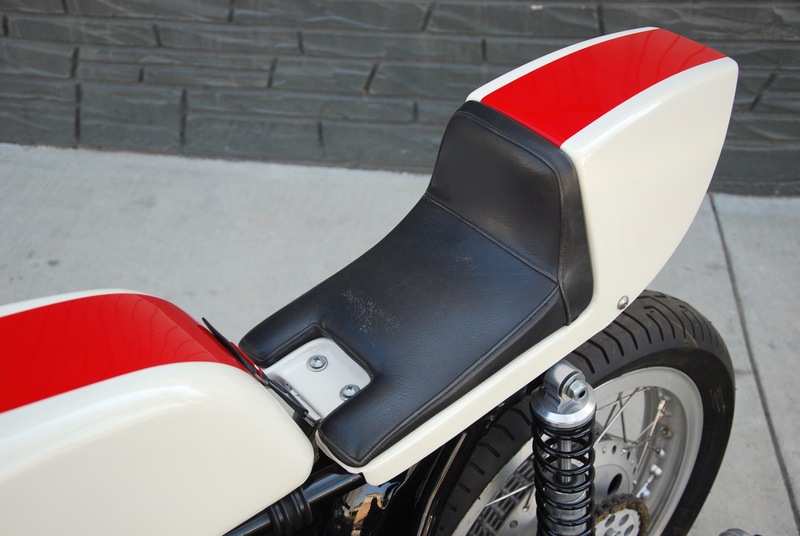 Tuck in, hold on, and safety-wire your bum to the seat….